Manager on the People Analytics team at Google, author of Storytelling with Data, and data visualization expert. Cole Nussbaumer Knaflic tells stories with data. 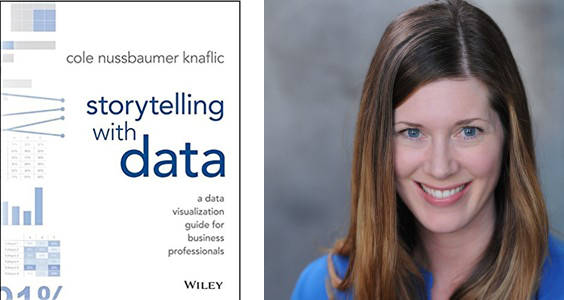 She is the author of storytelling with data: a data visualization guide for business professionals (Wiley, October 2015) and writes the popular blog www.storytellingwithdata.com. Her well-regarded workshops and presentations are highly sought after by data-minded individuals, companies, and philanthropic organizations all over the world. Her unique talent was honed over the past decade through analytical roles in banking, private equity, and most recently as a manager on the Google People Analytics team. At Google, she used a data-driven approach to inform innovative people programs and management practices, ensuring that Google attracted, developed, and retained great talent and that the organization was best aligned to meet business needs. Cole traveled to Google offices throughout the US and Europe to teach the course she developed on data visualization. She has also acted as an adjunct faculty member at MICA, where she taught Introduction to Information Visualization. Cole has a BS in Applied Math and an MBA, both from the University of Washington. When she isn’t ridding the world of ineffective graphs one pie at a time, she is baking them, traveling, and embarking on adventures with her husband and young children in San Francisco. Stories resonate and stick with your audience in ways that data alone does not. Why wouldn’t you leverage the power of story when communicating with data? Join this engaging session, during which Cole Nussbaumer Knaflic demonstrates the untapped potential of combining the magic of story with best practices in data visualization for communicating effectively with data. You’ll leave the session inspired to bring your data to life and make it a pivotal point in an overarching story that motivates your audience! Could your organization or team benefit from being better able to tell a story with data? Meet this need with a custom storytelling with data workshop. Sessions range from 45-minute presentations to day-long sessions. This short session provides a condensed overview of select key lessons for communicating effectively with data. It is ideal for conferences, large audiences, or very diverse groups, where the primary goal is to provide some exposure to the basics for effective data visualization and storytelling with data. WARNING: this short session will leave you wanting more! The half-day workshop covers the fundamentals of effective storytelling with data. 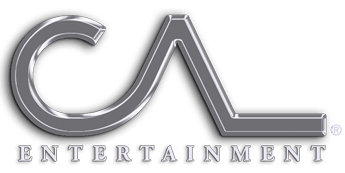 Core content is focused on 5 key lessons: (1) understand the importance of context, (2) choose an appropriate visual, (3) identify and eliminate clutter, (4) focus your audience’s attention, and (5) tell a story. The half-day workshop can be structured as a 3- or 4-hour session. The first part is spent discussing best practices and applying them in many real world scenarios. Examples are also collected from participants in advance and the remaining time is spend discussing how to apply the lessons learned to select examples. Cole also presents her makeovers and discusses the specific design thought process that led to their creation. The half-day session incorporates a break and time for Q&A. It is best for groups of 15-30 participants. The full-day workshop expands on the half-day session with the incorporation of additional content and hands-on practice. The latter typically takes the form of individual and small group exercises centered around each of the five key lessons, to highlight practical application and help drive the lessons home. Depending on needs, practice can also take the form of a case study that participants focus on throughout the day in small groups. This approach works best when there is a specific example that is relevant to the entire participant group. As in the half-day session, this full-day workshop also incorporates examples from the participant group. The full-day workshop includes time for multiple breaks (including lunch) and time for discussion and Q&A. It is best for groups of 10-30 participants. All sessions (irrespective of length) are low tech: pens and paper are the primary tools used for practicing the lessons covered. The focus is on foundational principles for communicating effectively with data that can be applied to varying extent in any tool. Because of this, no specialized tool knowledge or laptops are required (best to leave the latter at home! ).